The Volstead Act and Prohibition, speakeasies, flapper girls, and bootleg operations held a fascination for me before I read Ariel Lawhon’s The Wife, the Maid, and the Mistress. You can imagine my excitement when I learned that her book was the She Reads February selection. It was the ways in which Prohibition affected American cuisine that I was particularly interested in learning when I first began researching the era. As it turns out, the Constitutional amendment that brought about the banning of all alcoholic beverages changed our country’s cuisine dramatically. Some culinary experts believe that Prohibition and the Great Depression permanently altered, if not ended, fine dining in our country. Alcohol was no longer readily available for cooking or serving, and money for purchasing exquisite ingredients by the average American was even more scarce once the Depression hit. Whole cookbooks were written with alcohol substitutes included so the ordinary cook could still be successful in the kitchen. Extracts became popular for flavoring cakes and pastries where spirits, such as rum, were previously used. It was still legal during the years that the Volstead Act was in effect for citizens to produce their own home brews and fermented fruits, but wineries converted their vineyards to table grape and other common fruit production. Cooking sherry was a wine that was produced for use in cooking with excessive amounts of salt added to discourage consumers from drinking it. Alcohol laden medicines were still available by prescription, which led doctors and pharmacies to dole out much more to individuals than was necessary, until a limit was imposed on its distribution, as well. Another adaptation that was made to beverages during Prohibition, though high alcoholic content brews and distillations were still being produced on the sly, was the proliferation of the non-alcoholic cocktail. Strong flavors and colors were added to ordinary ingredients, such as fruit juice, to give the drinker a simulation of the bold spirits they were previously accustomed to. The non-alcoholic mint julep could have been one of them. Here is a simple recipe for making a legal Prohibition Era mint julep, but feel free to add whatever spirits you like, such as bourbon, peppermint schnapps, whiskey, or even gin…simply because you can, thanks to a repeal of the Volstead Act in 1933. My favorite thing about this non-alcoholic mint julep? It’s absinthe green! Maybe Ritzi, my favorite character from Lawhon’s novel, would have preferred it to the abominably strong concoction she was pressured to drink at Club Abbey. 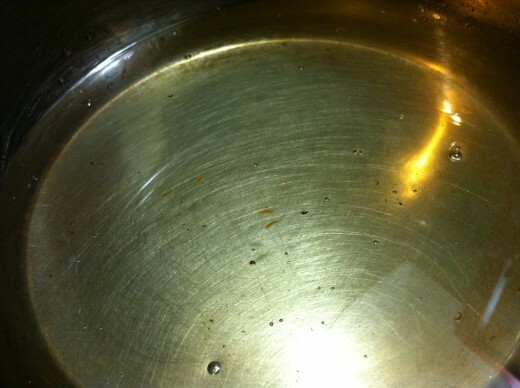 Simple syrup made from 1 cup of granulated sugar and 1 cup of water, and added flavoring ingredients, if desired. Adjust the amount to suit your tastes. 1 to 2 cups seltzer water. Adjust this amount according to how thick you want your drink to be. A simple syrup is made by combining one part sugar to one part water and simmering them until the sugar dissolves and a sticky liquid is produced, but not long enough so that the sugar caramelizes. Aromatics, such as citrus zest, vanilla pods, or spices, can be added for flavor. Here is a honeysuckle simple syrup that I made when honeysuckle flowers were in bloom this past summer. 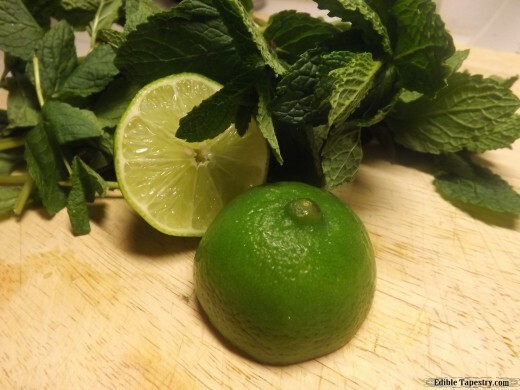 Fresh mint could be added to the mint julep simple syrup to enhance the mint flavor and deepen the intensity of the blended beverage, but these flavoring agents should be steeped in the syrup after it has cooled a bit, then strained out. 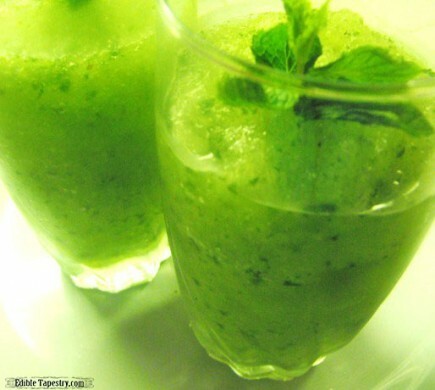 Place all ingredients in a large blender and process until the ice is crushed and the mint is pureed throughout. Pour or spoon into tall glasses and garnish each with a mint sprig. Thanks, Ingrid! I LOVE the bright green color of your “green fairy”… And it’s perfect for my library book club where we must remain a bit dry…:-) Cheers! Thanks! I’m glad you liked it and hope you do end up making them for your book club. Knlwgedoe wants to be free, just like these articles!